When Eneloop deals come around, they tend to come in droves. 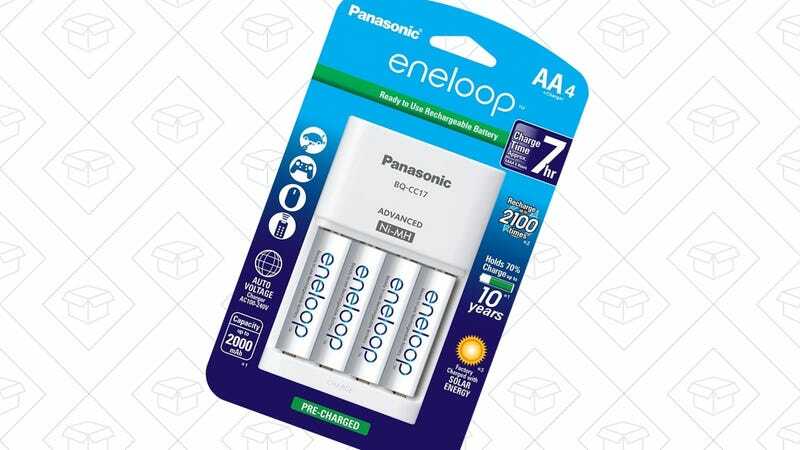 As we told you yesterday, you can still get a 4-pack of high-capacity Eneloop Pros for $24, but now you can also get the same combination with standard Eneloop batteries for $15. Update: Sold out. Sure, you’ll have to charge them a little more often than the Pros, but at this price, it’s tough to complain. Remember, the included charger also works with AAA batteries, so stock up on those as well. Lady Gaga’s new album, patio space heaters, and Eneloop batteries lead off Friday’s best deals.